The Rangers and Bruins are separated by two points at the top of the Eastern Conference standings. 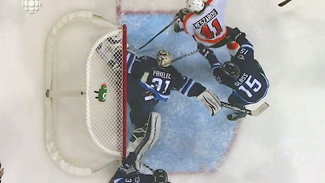 The Penguins are streaking and the Flyers are right in the mix as well. Washington and Florida are in a tough battle for first in the Southeast Division and third in the conference. Ottawa is still looking good despite a three-game losing streak. Several teams are fighting for the final few playoff spots. The Rangers carry a two-game winning streak out of the All-Star break. They've won three of their last four games, including a 3-2 overtime win Jan. 21 against the Bruins. They open their post-break schedule at New Jersey and then head to Buffalo for a game Thursday. They then return home to play three in a row. February won't be easy as they play the Flyers twice within a week, then the Bruins, Capitals and Blackhawks in consecutive games. They also play the Penguins in Pittsburgh. They lost 5-3 to Washington in their last game before the break, prompting Patrice Bergeron to say that the Bruins have been too up and down. He's right. They're 2-2-1 in their last five games and 5-4-1 in their last 10. The Bruins, though, set themselves to handle a mini-dip in their play with such a solid run through November and December. They come out of the break with three straight home games, against Ottawa, Carolina and Pittsburgh. However, they play only five of 13 games at home in February, and have a six-game road trip from Feb. 15-25. Alex Ovechkin will have to sit out the first two games after the break because of his suspension stemming from his hit on Zbynek Michalek. He'll miss games against Tampa Bay and Florida. There is no telling when Backstrom is going to return. Green is recovering from his surgery, but he's still a ways away from playing. So the Capitals will have to continue in survival mode for a while. They have three straight road games coming out of the break, and they're just 8-13-2 away from Verizon Center. The injuries are piling up, but the Flyers are hopeful Briere, van Riemsdyk and Jagr are not far from returning. Their schedule down the stretch appears favorable provided they can get healthy. Philadelphia comes out of the break with six of its first seven games at home. 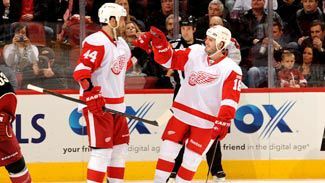 The only road game is in New York, so the Flyers won't have to get on a plane until they leave for a game in Detroit on Feb. 12. They head west for four games at the end of February, but play 12 of their final 20 games at home. While everyone is watching and waiting to see if and when Crosby returns to the lineup, the Penguins come out of the break riding a seven-game winning streak thanks in large part to the MVP-like play of Evgeni Malkin, who has 34 points in the 21 games since Crosby left the lineup. Malkin leads the NHL with 58 points. Staal should be on pace to return sometime next month, perhaps even early in the month. The Penguins open their post-break schedule with a home-and-home against Toronto. Ottawa is far ahead of where any pundit thought it would be at this time of the season and it has stayed relatively free of major injuries. The Senators are four points behind Boston for first in the Northeast Division. However, they've played the most games of any team in the NHL so far (52) and they have four fewer non-shootout wins than the Bruins. Still, the Senators have a favorable schedule over their final 30 games, with 17 at home and only half against teams that currently occupy a playoff position. They do play Boston four more times, however, including Tuesday. 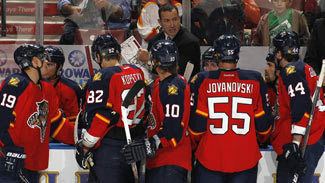 Florida's back end is beat up with Jovanovski and Kulikov shelved for a while after their respective surgeries. Their top line of Tomas Fleischmann, Kris Versteeg and Stephen Weiss had a strong game against the Flyers last Tuesday, but as a whole has been stale recently. There even was talk of breaking it up. Florida is also just 3-6 in the shootout this season. All this and the Panthers remain in the playoff mix, with three huge games against Washington coming up in the next 2.5 weeks. Henrique and Adam Larsson (wrist) pulled out of All-Star weekend because of nagging injuries, but GM Lou Lamoriello expects both to play Tuesday. Zajac's timetable remains uncertain as his Achilles problem has flared up again. Greene is skating and near a return. Tallinder is going to be out for a while as he deals with the blood clot in his leg. The Devils are clinging to a playoff spot after going 0-2-1 in their final three games before the break. It won't get any easier as five of their first six games coming out of the break are against the Rangers (twice), Flyers, Penguins and Blues. The Leafs are hopeful that the newly re-signed John-Michael Liles is ready to go soon after the break. 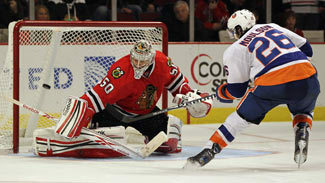 They're also hopeful goalie Jonas Gustavsson continues to cement the job as the team's No. 1 starter. James Reimer has given him a chance and Gustavsson comes out of the break having won three of his past four starts, giving up just seven goals in the process, including a 25-save shutout against the Islanders. Toronto's remaining schedule isn't easy, as it plays 20 of its next 29 games against teams that currently occupy a playoff position. The Jets have gone 3-8-1 in January. The Jets have struggled this month, going 3-8-1. They've been shut out three times and held to one goal another three times. They've also given up four or more goals on four occasions. They continue a six-game road trip after the break, with games at Philadelphia, Tampa Bay, Florida and Montreal. Winnipeg has only one home game between now and Feb. 14. It also plays at Washington and Pittsburgh. The good news is if the Jets manage to survive (they're 7-14-4 on the road), they have an eight-game homestand coming up. Coming off a 7-2 win against the Red Wings, the Canadiens have reason to believe they're not out of the race just yet, despite sitting 11th, eight points out of eighth place. They've won two in a row and have points in three straight games. Coach Randy Cunneyworth also has taken a strong stance with defenseman P.K. Subban, benching him in the second period against the Wings. To the rest of the team, it's a sign Cunneyworth will hold everyone accountable. Sixteen of Montreal's remaining games are against teams that currently do not occupy a playoff spot. Injuries and poor goaltending have contributed to Tampa Bay's tough season, but the Lightning come out of the break with a four-game winning streak and the hope is Hedman can return soon. Malone, Bergeron and Pyatt all are considered day-to-day. The schedule also is favorable, with 20 of their remaining 34 games at the Tampa Bay Times Forum. All-Star center John Tavares had his 12-game point-scoring streak snapped by the Maple Leafs in the second-to-last game before the break. Tavares, Matt Moulson and P.A. Parenteau have given the Isles the majority of their offense. Their lack of secondary scoring has hurt them all season. The Sabres have been dealing with injuries and trade rumors all season, as well as an inability to win games away from home. They beat the Devils in their final game before the break, but it was 2-1 in a shootout and they managed only 14 shots on goal. The good news is nine of their next 12 games are at home. Buffalo's shootout win at New Jersey was its first road win since Dec. 3. Hurricanes GM Jim Rutherford already has made two deals and there could be more. The team was hoping to have Pitkanen back right after the All-Star break, but he could be out another month or more.